Cooling setup: M5 tank, Mesa-Cool 48-plate oil cooler, small radiator (BMW, don't remember which atm) M3's stock electric fan taking care of most the cooling + BMC CDA intake. Suspension setup: H&R Race, EDC front, Bilstein B8 rear, TreeHouseRacing CA bushings, H&R 22mm anti-roll bar, Wiechers front Strut brace + UR Rear strut brace. 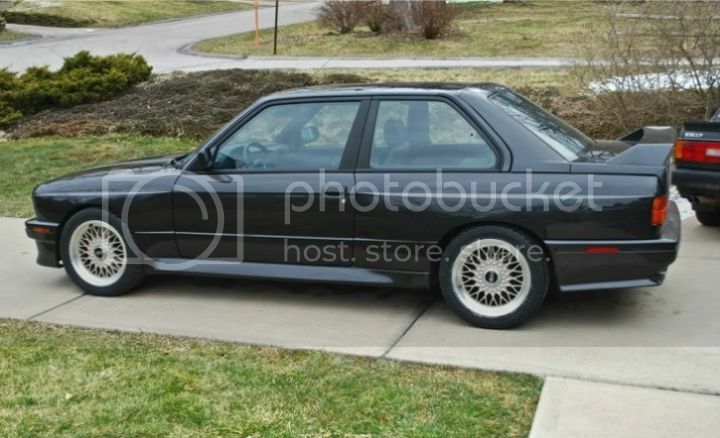 Nice, yours is the first limited edition M3 with a S38B38 I've seen or heard of. 18"s with a 3.25lsd, I'll bet that does very well on the highway. I'd love a 3.8 both for the extra power and not having a distributer cap in the way of a normal radiator but hard to obtain in the US. How does your stock booster fit? 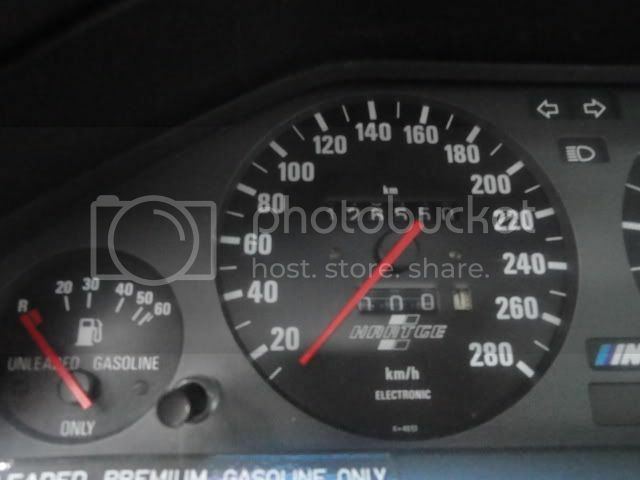 Is the engine off center towards the passenger side an inch? 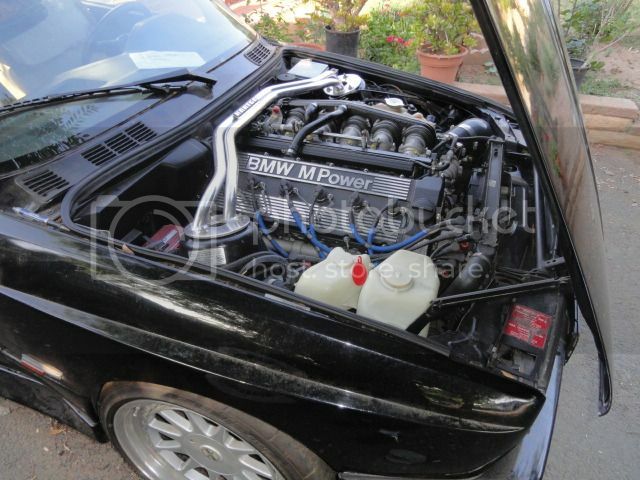 Cooling setup: M20 tank, small radiator (BMW, don't remember which atm) M3's stock electric fan taking care of most the cooling..
not in US but I hope it's O.K to post some euro trash in here? No way! How many mm did you shave off? Any pics of the airbox alone or before the booster went in? I wish I had a spare to mess with first. 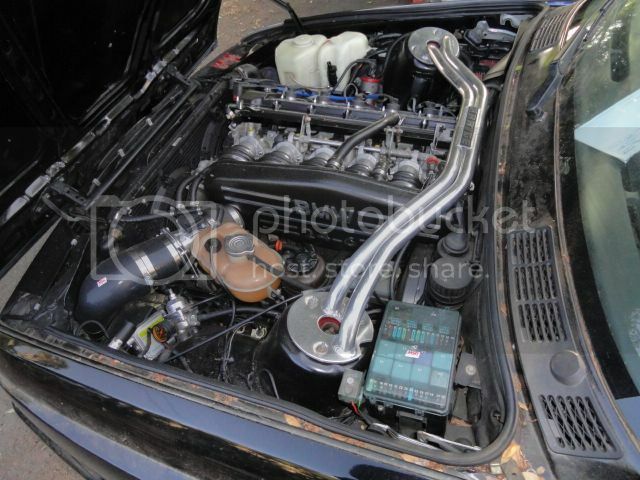 Regretfully I didn't take many pics of the swap in progress , and none of the airbox alone ... I could take you a crappy pic of how it looks as it sits but you wouldn't see much.. It is, but the other way around. S14 = S38 - 2 cylinders. 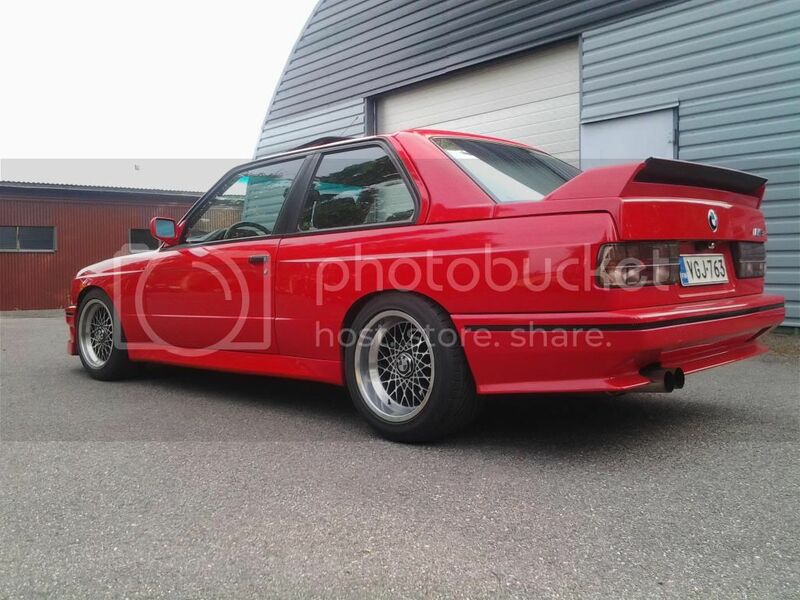 I heard it is called the s14 because it took just 14 days for M Gmbh to design it (lop two cylinders off the s38b35), which as we all know was originally the M88 in the M1. The s38b35 in the M3 would have been too heavy for DTM for which the M3 was designed. I read that they would have put the s38 in the street M3 but would have been too expensive, and probably too extreme at the time. 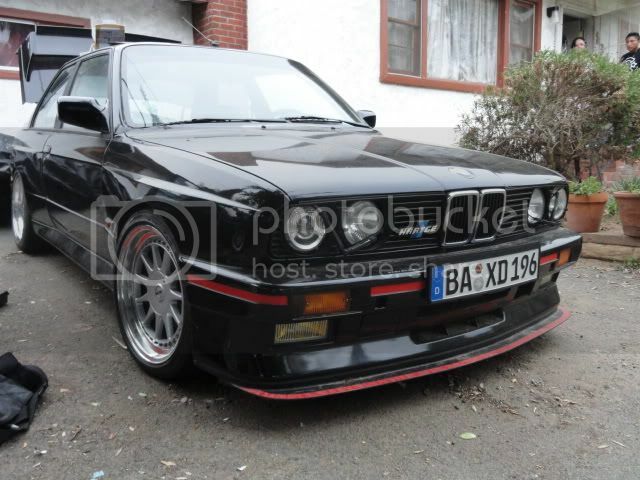 So Hartge and Alpina were the only ones to offer it since their buyers had deeper pockets. 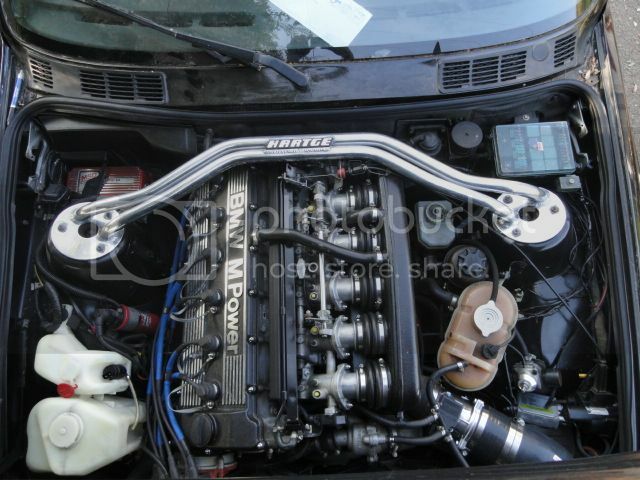 Hartge went with the biggest engine available at the time which was the s38b35 for the H35-24 while Alpina used the M30B35 in the B6 3.5S. 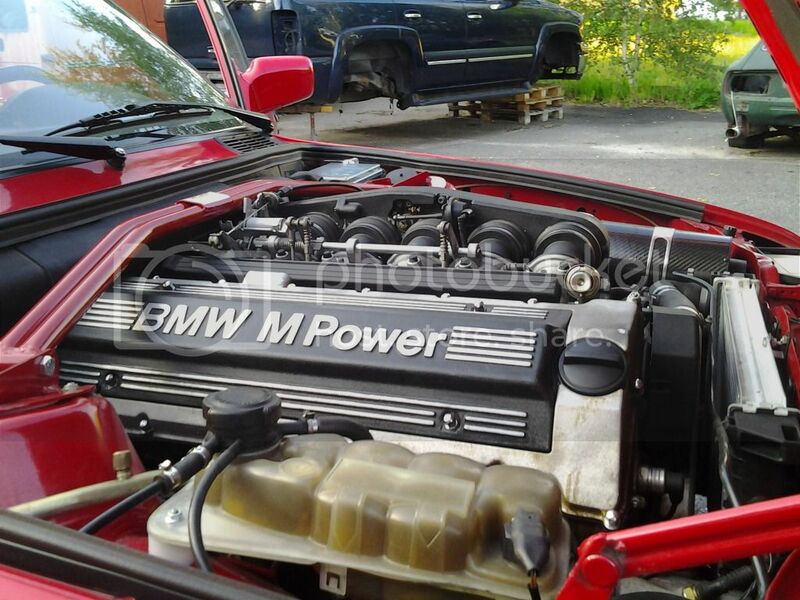 Bottom line is that yes, these motors are right at home in E30 M3s. That is why the s38 is such a great swap- its period correct, originates from the M1, is the s14's big brother, and over 300hp. Last edited by fronton; 03-09-2012 at 06:30 AM. Nice cars guys. S38 is so nice in these cars. Last edited by e30m3s54turbo; 12-27-2016 at 07:11 PM. 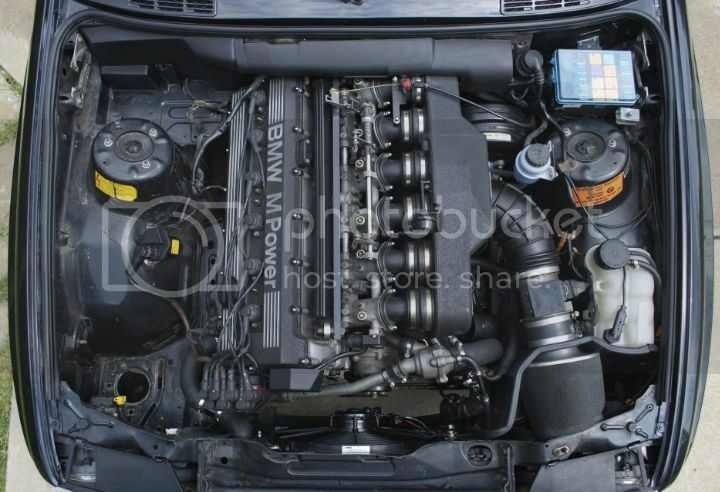 It is euro e28 m5 intake. 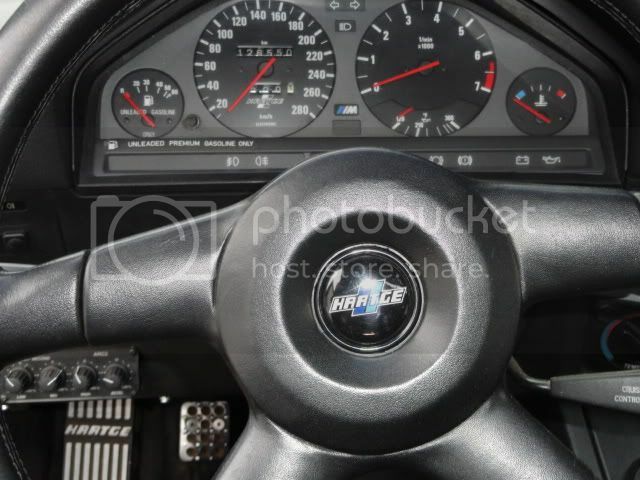 I built this e30 m3 in 1998. 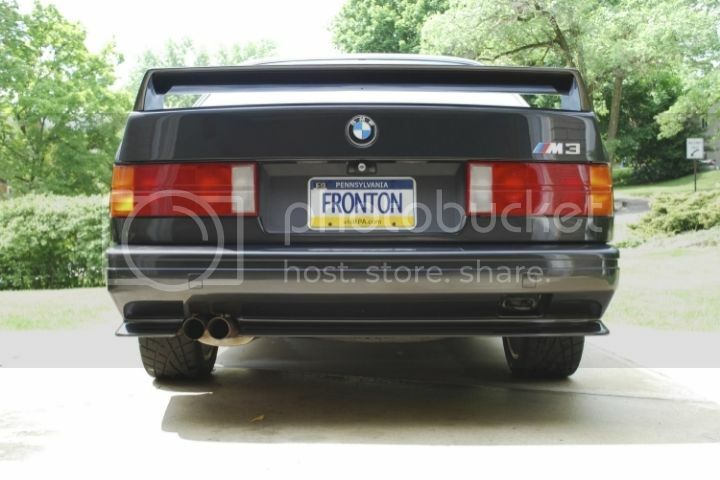 I cloned H35 24 m3.